Expectations. 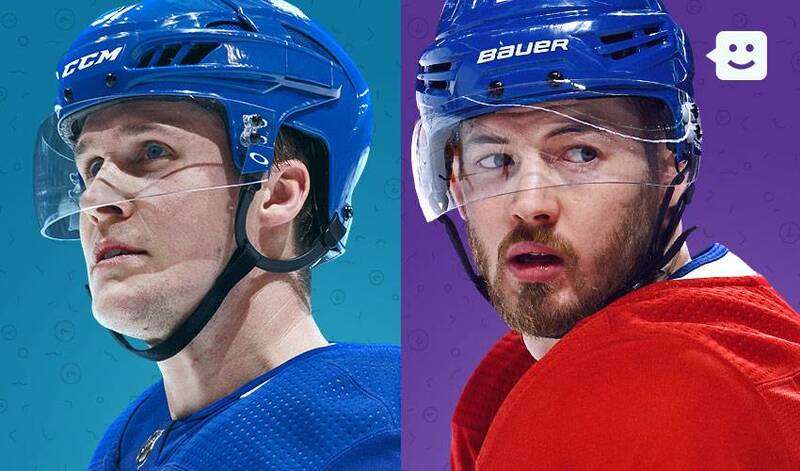 Whether it’s from within or from others, NHLPA members Paul Byron and Jake Gardiner know all about dealing with the stresses of everyday demands. From a very young age, NHL players are faced with meeting and exceeding expectations, something that only increases as their careers move forward. Now, as professional hockey players performing on the sport’s biggest stage, the pressure to succeed both individually and as part of a team, can be extremely intense. That mindset continues to provide a big assist for Byron and Gardiner throughout the 82-game NHL regular season and beyond. “I think the one thing that stands out for me is that whether you have a good or bad outcome, you have to continue to believe in yourself,” said Gardiner, who has played over 500 games in the NHL, all with the Toronto Maple Leafs. Both players have come to understand — through various experiences — that not every day will work out as they had planned. It’s something that helps them keep things in perspective, both at the rink and outside of it. One of the biggest pieces of advice they want to share: give your top effort in everything you do. “Whether you're a hockey player or a student, everyone has to deal with expectations,” Gardiner continued. “I think one thing that you try not to do is put too much pressure on yourself. You want to be confident, always try to the best of your ability and believe in yourself." Byron, who has scored 14 NHL career game-winning goals, certainly agrees. This article is a part of a series for the NHLPA’s partnership with Kids Help Phone. Learning to cope with stress, pressure and expectations in everyday life can be tough. It’s important to take time out for you by practicing self-acceptance and self-care. You can talk to a parent/caregiver, friend or teacher for support. Kids Help Phone’s counsellors are available 24/7 at 1-800-668-6868, too.